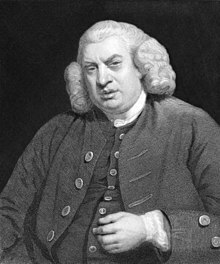 For authors with similar names, see Author:Samuel Johnson. The Rambler (1759) Vols. (I), (II), (III), and (IV). “Johnson, Samuel” by Thomas Babington Macaulay in Encyclopædia Britannica (9th ed., 1881).